Brenda PASK has written a book on "Denton" (Parish Officers, letting parish land, school rules, and Inventories), 2000. ISBN 9-78-0951688830. In an 1890 district re-organisation, the parish was allocated to the new "Grantham South" sub-district of the Grantham Registration District. The Anglican parish church is dedicated to Saint Andrew and is built from local stone. The tower was restored in 1904. A photograph of the Anglican Church exists at the Wendy PARKINSON English Church Photographs site. Kate JEWELL has a photograph of the church interior on Geo-graph, taken in 2007. Parish registers exist from 1538. Bishop's Transcripts exist from 1562 to 1833. We have a partial register extract. Your additions would be welcome. Parish registers are on file at the Society of Genealogists, covering 1558 - 1837. Parish marriages from 1651-1750 are covered in Boyd's Marriage Index. The Independent Methodists had a chapel here in 1865. For information and assistance in researching these chapels, see our non-conformist religions page. Denton is both a village and a parish. 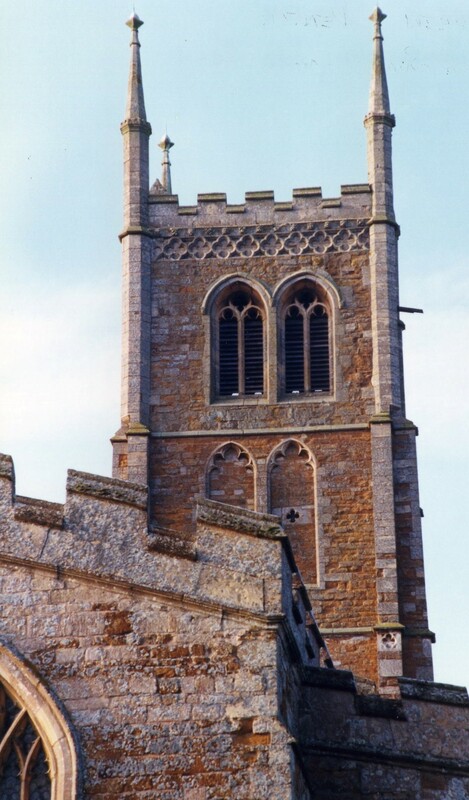 The parish is about 4 miles southwest of Grantham on the old Melton Mowbray road (now the A607). 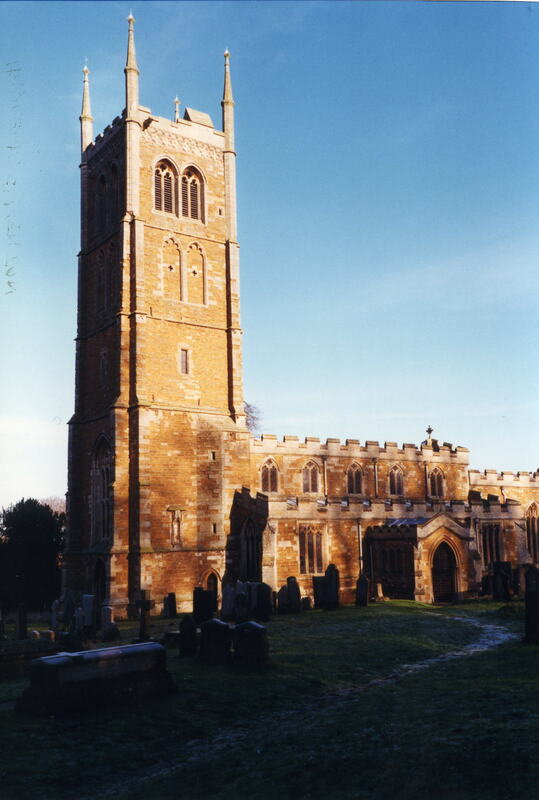 The parish itself is bounded on the north by Barrowby, on the east by Harlaxton parish, to the west by Woolsthorpe and Harston (Leicestershire) parishes, and on the south by Wyville parish. The parish covers about 2,650 acres. It is probably easiest to take the A607 southwest off the A1 Motorway for about three miles. In 1705, Richard WELBY was high sheriff of Lincolnshire. In 1727, a mosaic pavement, likely the floor of a Roman villa, was found in Denton field. Read an 1870 directory extract for Denton. Kate JEWELL has a photograph of The Welby Arms on Church street at Geo-graph, taken in 2005. 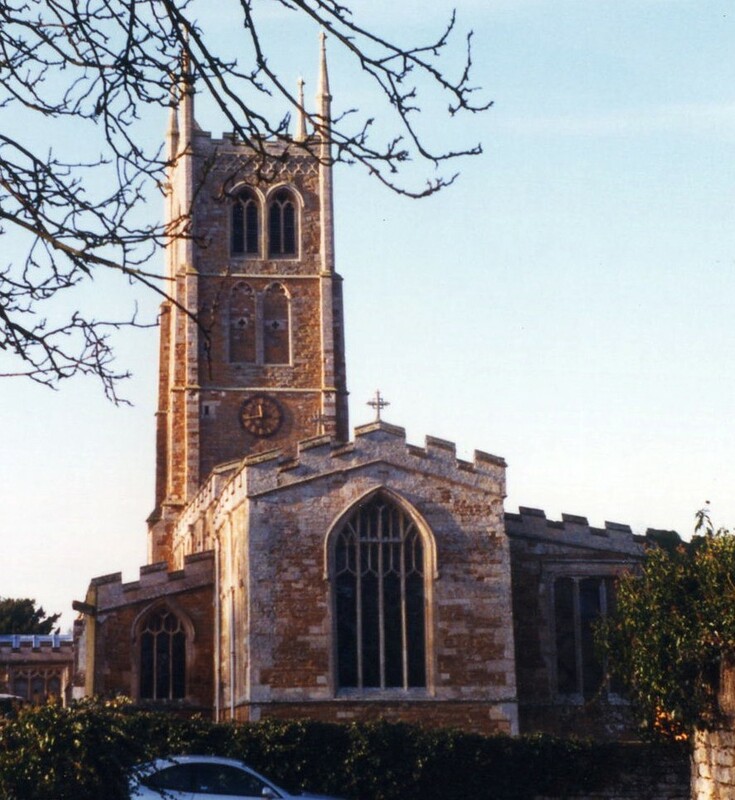 In 1841, nearly all of the parish was held by Sir William Earle WELBY, baronet of Denton House, with some land held by Mr. Gregory GREGORY of Harlaxton Manor. A few small landowners also held plots here. In 1871, most of the parish was held by Sir Glynne Earle WELBY-GREGORY, baronet. In 1913, almost the entire parish was held by Sir Charles Glynne Earle WELBY, baronet. Denton House was a handsome stone mansion built on a wooded hill. It was nearly all rebuilt in 1816-17. There is a spring near the house, St. Christopher's Well, said to possess medicinal and healing powers. In 1842, The WELBY family held the manor at Denton. In 1913, Denton Manor was the seat of Sir Charles Glynne Earle WELBY, baronet. This manor house was built in the tudor style in 1879-83 to replace the one above. The Manor was demolished in 1938. Trevor RICHARD has a photograph of the Denton Manor Gatehouse on Geo-graph, taken in 2012. The national grid reference is SK 8632. Consider getting an Ordnance Survey "Explorer 247" map which will show detail of 2.5 inches to 1 mile scale. Denton is a common place-name across England. The name derives from the Old English dene+tun, meaning "village in a valley". It appears as Dentune in the 1086 Domesday Book. White's 1842 Directory lists the following surnames in the parish: AUGER, BECK, BELL, BREWSTER, BRICE, BURGIN, CABORN, COLLINGWOOD, FERNELLEY, GEESON, GREEN, HILL, HODSON, HOLMES, INGLE, LANE, LEAK, MORRIS, STARKEY, STEVENS, SWANSON, TRYNER, TYLER, WATSON, WINTER and WELBY. White's 1872 Directory lists the following surnames in the parish: AUGER, AVERY, BECK, BREWSTER, BULLOCK, CABORN, CHAPMAN, COLLINGWOOD, GEESON, GREEN, GREENWOOD, HOLMES, HOLT, INGLE, JACKSON, JOHNSON, LANE, LEAK, MORGAN, POTCHETT, REMMINGSTON, ROSE, STREETON, TYLER, WATSON, WELBY-GREGORY, WINTER and WRIGHT. Kelley's 1913 Directory lists the following surnames in the parish: BLANKLEY, COLLAR, COOPER, CRASTER, DOVE, GEESON, GREEN, JACKSON, JOHNSON, MALTBY, MITCHELL, OGDEN, PYKETT, SCOFIELD, SMITH and WELBY. Bastardy cases would be heard in the Spittlegate petty session hearings. The parish had an almshouse for six poor people, founded in 1653 by another William WELBY. It was located not far from Denton Manor house. In 1842 each resident received one shilling per week and 22cwt of coal yearly. In 1714, Rebecca WELBY left the interest on £10 for the six alms-people above. In 1696, the parish purchased a cottage and 13 acres of land in Harlaxton to house a poor family. The parish common fields were enclosed in 1789. In 1790 William WELBY left a legacy of £12 per year for the schooling of poor children. By 1871 that had been increased to £20. In 1842, six cottages in the village were given to poor people, but the donor was unknown. There was also an additional cottage and eight tenements, built by the poor, who paid only a ground rent for their use. An Infant School was erected here by Sir Glynne Earle WELBY-GREGORY, baronet, in 1720. The school was rebuilt as a Public Elementary School in 1855. A new Public Elementary School was erected in 1893 to house 125 children. In 1913 it was fearfully overcrowded, with 160 children attending. In addition to the "National School" above, the parish had a Congregational School.